In Armenia, the forestry sector and forest restoration policy development and decision making in natural resources management processes have been shaped as a result of women’s historical every day practices—which are also often drivers of deforestation and degradation—and yet women’s direct participation in these matters is frequently neglected. Forests in Armenia are state property and the management system is top-down, meaning that decisions are made at the government level and passed down through a hierarchy of power. At local levels, all community members, including women—who can at times make up 70-75% of village population—are kept removed from environmental decision-making and monitoring processes. 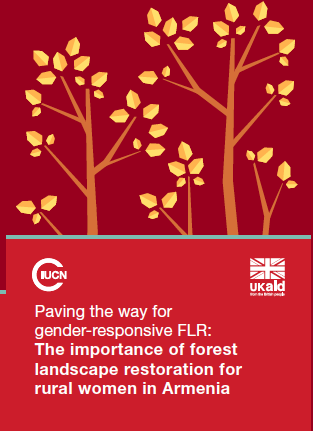 Forest Landscape Restoration (FLR) efforts should take advantage of the women’s unique knowledge through years of managing rural life in forested areas and engage women to ensure protection of Armenia’s limited forested areas for the prosperity of rural communities.